Without hesitation, our editors say: take the Hybrid. The MKZ's stock V-6 is good but unspectacular; the Hybrid shares its powertrain with a North American Car of the Year winner, and it's priced exactly the same as the more conventional version. The 2011 Lincoln MKZ has a foot in both luxury worlds, with buttery leather and wood for traditionalists, and hybrid power with flower petals for the high-minded greens. Since it's shed Volvo, Jaguar, Land Rover and Aston Martin--not to mention Mercury--Ford has been voicing bigger plans for its Lincoln brand. More luxurious cars are on the way, with more distinctive powertrains and even higher technology, we're promised. In the meantime, Ford has a Lincoln lineup that owes plenty to similar Ford-brand products. The MKZ sedan is the best example of how close today's Lincolns can seem to current Fords, while still delivering about as much differentiation as a Lexus ES 350 does from a Toyota Camry. The MKZ wears a front end all its own, and it's drama-infused. The wings and ribs contrast deeply with the traditional luxury-car dash and its bands of wood and swaths of Scottish leather. The LCD panel in the center can be a jarring note--but it's also the window to a bundle of electronics that keep drivers in SYNC with music and callers while they're keeping both hands on the wheel. With its more tidy proportions, the MKZ doesn't have the kind of spread-out space you'll find in a bigger Buick or Chrysler, but the same scale works to its advantage in handling. The MKZ's electric power steering feels almost natural, and its ride quality just firm enough, more so with a Sport package and 18-inch wheels. Then there's the MKZ Hybrid, which Ford pitches at the same price as the conventionally powered V-6 MKZ. It keeps the 41-mpg city fuel economy of the similar Fusion Hybrid, but instead of rewarding green drivers with leaves, it shows its appreciation for gentler driving with...flowers. With jazzy style, the luxury goods it needs and a new outlook on what luxury actually means to non-cigar-smoking, non-McMansion-dwelling urbanites, the MKZ Hybrid is a clear marketing win as Lincoln specs out a somewhat opaque future. To our testers, the Hybrid makes eminently better sense than the less imaginative MKZ--at zero cost added. The 2011 Lincoln MKZ doesn't have a great deal of distinction from Ford's own Fusion, but there's no mistaking the brandmark nose or the richer, lusher interior. Lincoln may still be a few years ago from truly distinctive vehicles, but the big wings and ridges on the 2011 MKZ's nose are a distinctive sign of the future. Last year, the MKZ adopted the twin-wing grille and slimmer headlights that are becoming the brand's signature look. From the side, though, the MKZ still is more mainstream, even Japanese. The glass and doors haven't been changed as notably as the nose and tail, which means the MKZ shares the Fusion's profile--and both have carried the look for five years running. There's not much the MKZ can do, without a total makeover, to shatter the perception that it's an upstyled Fusion. And yet, that's no faint praise, since the basic proportions still look attractive. The MKZ's interior is a happier distance away from the Fusion's cabin. There's a wide band of wood or aluminum trim against dark, tightly grained plastic, framing a big LCD screen for audio and entertainment features. Thin ribbons of metallic trim frame big panels of dash in a look harking back to the heyday of Lincoln in the 1960s, while they also recall Ford's work with the Land Rover brand it no longer owns. It's an improvement for sure, though less of a design stretch. The Bridge of Weir leather seats and real wood trim on the dash (unless you choose a metallic finish instead) are lustrous to the touch, if the plastics facing the console are not. While it lacks true driving excitement, the 2011 Lincoln MKZ has balanced road feel, and power delivery is noticeably seamless on Hybrids. Neither of the available powertrains makes the 2011 Lincoln MKZ truly exciting to drive, but the fuel economy and beautiful integration of the hybrid pack gives that model excitement of its own. The conventional powertrain in the MKZ is a 3.5-liter, 263-horsepower V-6 engine that's coupled to a six-speed automatic transmission. 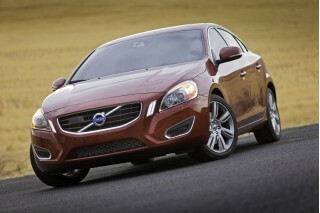 It's offered with front-wheel drive or with optional all-wheel drive. The six-cylinder shows up in all sorts of Ford and Lincoln vehicles, and here it's capable of moving the MKZ to 60 mph in 7.1 seconds. The six-speed automatic does a good job of extracting power without aggravating the engine too much; a sport-shift mode lets drivers click up and down through the gears via a lever-mounted switch. In recent test drives of three different MKZ sedans, it was clear I was the first person ever to twiddle the manumatic switch. The MKZ sips regular gas and still is rated at 18/27 mpg, fine numbers for the class, though they drop to 17/24 mpg with all-wheel drive. Ford's electronic power steering system is among the best we've felt. Replicating the feel of good old hydraulic-effort steering is a tough task, but both the MKZ and the MKZ Hybrid lighten up at low speeds, dial in a substantial feel in sporty driving, and takes a more accurate track than most cars with electric steering. More compact than the usual luxury suspects, the 2011 Lincoln MKZ still spreads out plenty of room for adults, and layers on plush leather to boot. 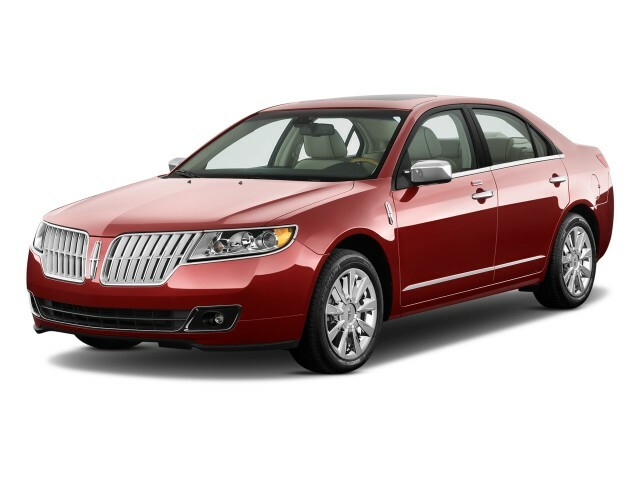 Like the Ford Fusion that shares its basic body shell, the 2011 Lincoln MKZ doesn't have an excess of room inside. It's still large enough for four adults to occupy in comfort, and once inside, they'll be pleased by the high grade of materials that grace the seats and the controls. 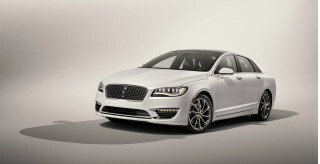 Other critics have complained that the MKZ's mix of materials looks alternately high-dollar and low-rent. We're not in that camp: the MKZ's at least as satisfying inside as the Buick LaCrosse or the new Chrysler 300 or Lexus ES 350. Some switches and controls--on the steering wheel, for example--aren't the right shape for the task at hand, but not many surfaces inside the MKZ would look out of place in an entry-level Lexus. Its Bridge of Weir leather seats would be a big step up from the hides in those other sedans, too. In terms of raw space, the MKZ acquits itself well up front. The chairs prove comfortable over long-distance drives, and because the driving position is relatively low, there's plenty of leg room under the dash. The center console does touch inboard knees without rubbing uncomfortably. The trunk is especially large--it's on par with the larger Lincoln MKS, with a much more cargo-friendly opening. Interior storage is ample, though the trunk in the MKZ Hybrid is downsized because that's where its battery pack lives. The battery pack also means the elimination of the fold-down talents of the rear seats. While the NHTSA still has yet to issue its ratings, the IIHS says the 2011 Lincoln MKZ is among the safest sedans you can buy. It's essentially a carry-over from last year, but the 2011 Lincoln MKZ will have to wait for its final crash-test scores. For the 2010 model year, the MKZ earned five-star front-impact crash scores from NHTSA (National Highway Traffic Safety Administration), with five stars for driver-side protection, but just four stars for rear-side protection. This year, the agency changed the way it rates vehicles, and as a result, it hasn't yet published numbers for the MKZ. The IIHS (Insurance Institute for Highway Safety) awards the MKZ "good" ratings in both tests, and has named it a Top Safety Pick again for 2011, though it too has changed the criteria for its ratings. Standard features for the MKZ include every safety piece known to Ford, including blind-spot monitors, curtain airbags and parking sensors and a rearview camera. Ford's MyKey system, which allows drivers to set speed limits and volume levels for younger drivers, is now standard. 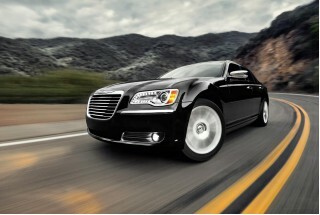 SYNC, a good navigation system and THX audio make the 2011 Lincoln MKZ a standout in the entry-luxury niche. The 2011 Lincoln MKZ comes fully equipped, whether the gas-only or the Hybrid option is chosen--though the base price remains the same, at just under $36,000. Standard features on the V-6 MKZ include Bluetooth and the linked-in SYNC system, which uses voice-activated commands to control phones and audio systems. The MKZ also sports a touchscreen LCD for navigation and other functions. The audio system in the MKZ is an AM/FM/CD/MP3 unit with Sirius Satellite Radio and a few months of free service. The MKZ also includes standard leather upholstery; heated and ventilated power front seats; and 17-inch wheels. 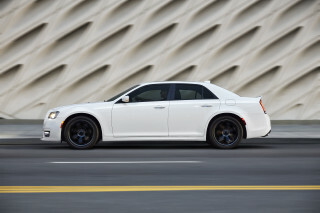 On the options list for the six-cylinder Lincoln are Sirius Travel Link, which streams real-time data for traffic, weather, even sports scores to the car; there's also an available voice-activated navigation system; ambient lighting; adaptive headlamps; remote start; THX-certified surround sound; and a moonroof. On the MKZ Hybrid, all the same features are standard, along with the Hybrid's unique Smart Gauge displays. A little more time spent with Ford's SYNC system before driving, will pay out benefits to any driver. SYNC uses Bluetooth and voice commands to relieve the driver from having to look at buttons to change radio stations, set up destinations, or take calls. Last year Ford fitted the system with a new voice-command structure and a much bigger vocabulary, which makes the system eminently more usable. With its no-cost hybrid option, the 2011 Lincoln MKZ earns a better than average green score--on its way to a 41-mpg city fuel economy rating. It's offered with a choice of conventional and unconventional powertrains, and for fans of driving efficiency, the 2011 Lincoln MKZ Hybrid is the green way to go, particularly since it's effectively a no-cost option. The MKZ Hybrid's fuel economy of 41/36 mpg is identical to that of the near-identical Ford Fusion. 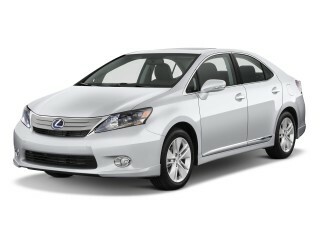 According to Ford, that tops the Lexus HS 250h by 6 miles per gallon. The exceptional city number is due in part to the MKZ's ability to drive in EV mode up to 47 mph; the HS 250h only permits battery-alone driving up to 25 mph. Lincoln has the green mentality down pat, all the way down to...flowers. The standard SmartGauge array of LCDs helps train drivers to cruise along more efficiently, by monitoring their consumption and battery usage. It translates those numbers into something everyone can understand--digitally rendered apple blossoms that add petals as drivers learn to conserve more fuel. The other drivetrain choice in the MKZ is Ford's 3.5-liter V-6, coupled to a six-speed automatic. Its numbers aren't particularly draining, when compared to other V-6 engines, but fuel economy does drop to a low of 17/24 mpg when all-wheel drive is included.